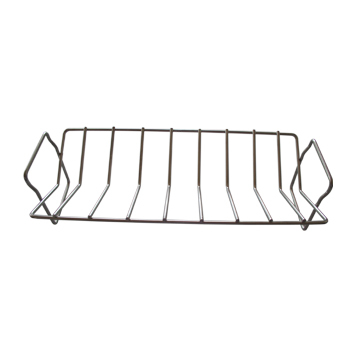 optimizes grilling space, allowing large quantities of ribs to cook, vertically and evenly. also accommodates with chicken legs, pork chops and more. 41*18*12cm, 540g, 304 stainless steel, optional with U-type and V-type. for 21" (21 inches) charcoal kamado grills. Brush food with cooking oil to prevent sticking to the rack (if not using a dry rub), insert the ribs "thick side up", so they will self-moisten during cooking.